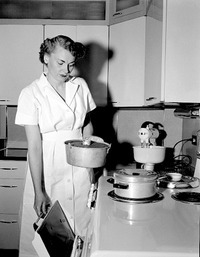 I used to love cooking. Their first years weren’t too bad. Breastmilk/formula. Mushy foods such as 죽 (congee). Finger, bite-sized foods. Their toddler years were different. Toddlers tend to be picky about their food. They will ONLY want to eat one thing one day, and will want nothing to do with it the next. Even the tiniest thing can drive a piece of food into the “inedible” category: the color, the shape, the temperature, even the type of dish on which it was served! I used to tell people that my kids have taken the joy out of cooking. My girls are older now. They turn 7 and 6 later this year. Gone are the toddler pickiness, and as an added bonus, their palates are becoming more sophisticated. 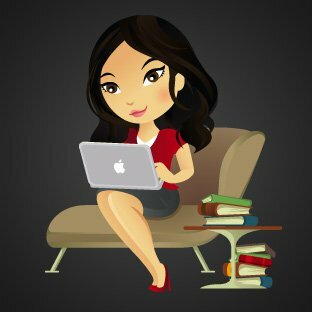 I know this may seem like a boring post to most — the insignificant words of a SAHM. But y’all… I’ve discovered my love of cooking again! So to all the mothers out there struggling with feeding their toddlers…. Just wait. There is hope! I wanted to give a short update about my new diagnosis, and my meds. A few people have reached out to me regarding my being bipolar. Mostly out of concern and love, which I appreciate. But as I have told those people, my new diagnosis doesn’t change who I am. I am still the same person. In fact, I received the new diagnosis months before writing the blog post…and my reason for not writing about it sooner is because it’s really not that big of a deal to me. As for my meds, my psychiatrist and I are still working to find the best combo that’s fit for me. I’m still on Topamax, aka the “model drug,” and I’ve lost 10 lbs from it. So far, I haven’t noticed any mental deficits (it doesn’t happen to everyone), so I’m wondering why I wasn’t on this drug sooner! Sure, I miss my Diet Coke and beer, but I’ve been enjoying wine and have been gulping down more than 2 liters of water a day. I’m happy to say that right now, at the age of 36, my skin is still clear of any lines or wrinkles. A friend paid me a great compliment the other day by exclaiming I had to have gotten Botox or fillers (I haven’t). I know that I should credit some of this to genetics (thanks, mom! ), but I also like to think that it also has to do with the diligent attention I’ve paid to skincare since I hit my thirties. My two keys to anti-aging: hydration and sun protection! It’s been a while since I last wrote about my beauty routine, or skincare/makeup in general. I still have a love for K-beauty, but I’ve also incorporated French and American skincare products into my routine. The products I will be sharing with you are items I have repurchased numerous times, making them HG-status in my book. First up is sunscreen. I wear sunscreen every. Single. Day. Even if I’m not going out. Sun protection is the #1 defense against the aging of skin. (Don’t believe me? Check out the sun damage on one side of this man’s face after driving a truck for 28 years!) And my choice of sunscreen is the Shiseido Urban Environment Oil-Free UV Protector Broad Spectrum SPF 42 For Face ($33-$46). 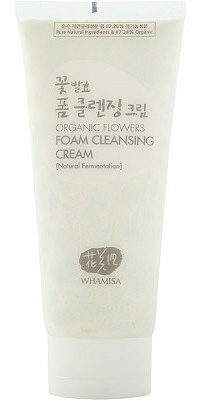 This sunscreen is ideal for combination-to-oily skin types, as it controls excess sebum production throughout the day. 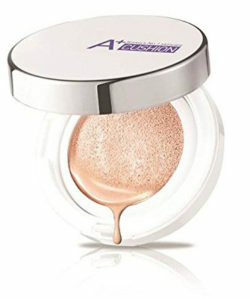 It applies thinly with a very minimal whitecast, and even acts like a primer, layering beautifully under makeup. 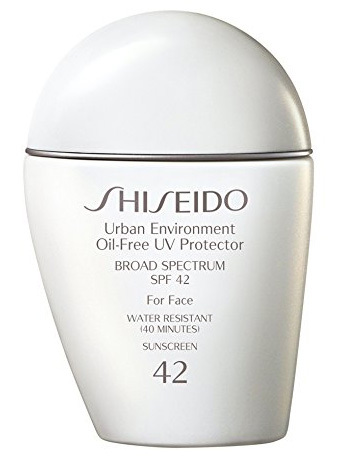 I’ve tried numerous sunscreens in my lifetime — including the über-popular Biore Aqua Rich Watery Essence SPF50+/PA++++ — and none has compared to my Shiseido Urban Environment. I think I’ve purchased more than 10 bottles since first discovering it! 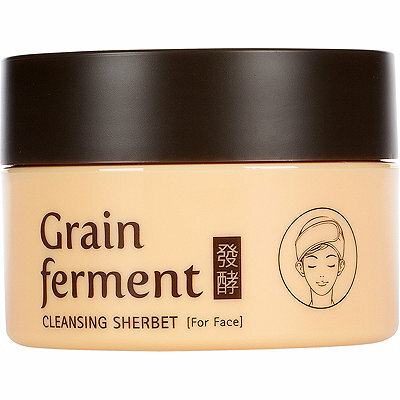 I’ve mentioned the Botanic Farm Grain Ferment Cleansing Sherbet ($30) before, and it still remains my favorite oil cleanser. It melts away all my sunscreen and makeup, — even the notoriously hard-to-remove Kiss Me Heroine Make Long and Curl Mascara! — has a subtle, fresh scent (I couldn’t stand the strong smell of the popular Heimish All Clean Balm), and the texture is just plain luxurious. Now, on to toner. In the past couple of years, I have slowly phased out pH-balancing toners and moisturizing toners in favor of an exfoliating toner. This toner is a cult favorite, dubbed a “facial in a bottle” and named number one on Allure magazine’s list of the best beauty products of all time. 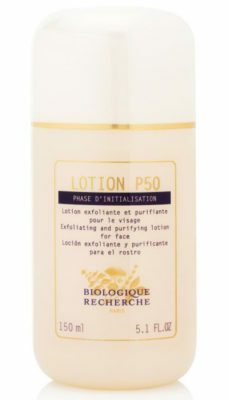 It is none other than the Biologique Recherche Lotion P50 ($27-$98). But the results! No other product is so adept at tackling so many issues at once — it will smooth the texture of your skin, brighten the skin by fading discoloration and spots, strengthen the epidermal shield, regulate excessive sebum secretion, hydrate the skin, and maintain the skin’s pH. Next up is a Vitamin C serum. Why do you need Vitamin C in your anti-aging skincare routine? Vitamin C is a prime ingredient of collagen, the substance that binds cells together. Stable collagen production fights wrinkles and ensures evenness in the skin’s tone and texture. Vitamin C also functions as an antioxidant, protecting the skin from damaging free radicals. The Drunk Elephant C-Firma™ Day Serum ($80) comes equipped with 15% l-ascorbic acid — as opposed to other brands’ 20-21.5% — but that does not make it any less effective. The other ingredients in this serum, in conjunction with the contamination-proof packaging (air-tight and lightproof — when you twist the top of the bottle, the pump dispenser comes out…love this design!) makes it far more efficacious than any other Vitamin C serum I’ve tried. Again, due to the genius of the package design, I do not need to worry about my volatile Vitamin C going bad, which is often the case with other bottles that are clear and/or have dropper dispensers. One pump is all I need for my entire face, and an entire bottle lasts a god 3-4 months with daily use. The next product I want to talk about is another multi-tasker. Is it a moisturizer? Mask? Primer? It can act as all three of those things, and the product I am talking about is the J.One Jelly Pack ($42). The J.One Jelly Pack was developed by Ha Ji Won, one of Korea’s most popular actresses. 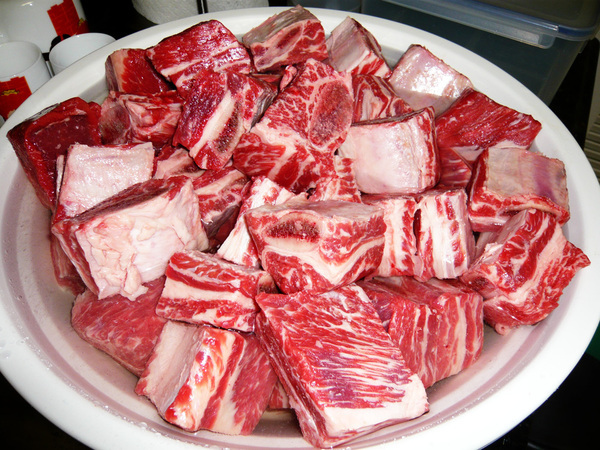 The texture can be slightly alarming to first-time users, because it is thick and gelatinous…and STICKY! But once it is spread over the face, you pat, pat, pat…and keep patting until it is no longer sticky. And what you are left with is skin that is instantly plumped and lifted. Due to its sticky nature, the J.One Jelly Pack makes for a wonderful primer, and that’s how I use it. In the morning, I wash my face, use a toner, then Vitamin C, then sunscreen, and then the Jelly Pack. This last step acts like a glue for all my makeup, and helps ensure my makeup lasts all day. When I travel, I use the Jelly Pack as a sleeping mask too, and wake up to hydrated, plump skin. Now, on to the lips. 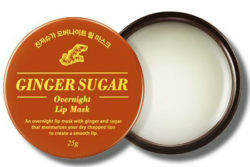 Last year, every Korean beauty blogger and vlogger seemed to go gaga over the Laneige Lip Sleeping Mask. So of course I got it for myself and…I wasn’t too impressed. While it smelled nice and the packaging was adorable (especially the tiny spatula), it just seemed to sit on my lips and not really do much aside from that. That’s when I watched a video by Edward Avila, who seemed to have the same opinion as me regarding the Laneige Lip Sleeping Mask. He recommended the Aritaum Ginger Sugar Overnight Lip Mask ($10.02) instead, and boy am I glad I listened to him! A warning before you proceed: the Aritaum Lip Mask is sticky AF. But since it is the last thing I do before going to sleep, it doesn’t really bother me. All I know is that overnight, it really penetrates the skin of your lips to transform it into the softest, most luscious they’ve ever been. I’ve raved about this product so much that I’ve gotten a bunch of my friends hooked on it too. I even ordered three from Korea before they were available on Amazon Prime. The last three items on this list are makeup products, two of which are cushion foundations. First up is the Troiareuke A+ Acsen Cushion ($39.98). 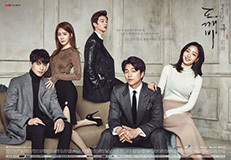 Troiareuke is a skincare line developed by a top dermatological clinic in Korea. 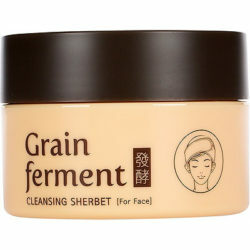 Its makeup — its BB creams and cushion foundations — all boast a “99% skincare, 1% makeup” slogan. In other words, their makeup is good for your skin. Seriously. You can fall asleep with it on and you won’t get any breakouts. Next is the Pony Effect Coverstay Cushion Foundation ($43). 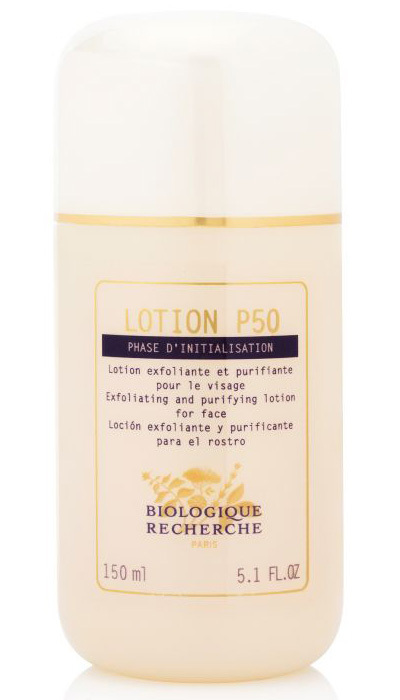 Like the Troiareuke cushions, the Pony Effect cushion offers a high SPF of 50 and PA+++. The coverage on this is medium to high, and a little goes a long way. Just a light dab of the puff can cover the entire face! Not to mention, the metallic rose gold packaging is plain gorgeous. It comes in 7 shades, and the color Buff is a perfect match for my NC25 skin tone. I have tried more than 20 cushion foundations since first discovering AB, and the Troiareuke A+ cushion and the Pony Effect Coverstay cushion are my two favorites. I know that I can use the A+ cushion whenever my skin isn’t at its best, and the foundation will not do anything to exacerbate the problem. The Coverstay cushion can be applied with a light hand to just even out my skin tone for an every day look, or with a heavier touch for a more polished look for when I’m going out. 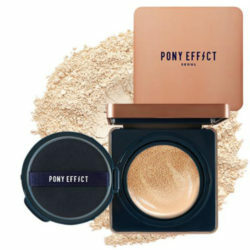 One thing I should mention is that the Pony Effect cushion comes with a refill, while the Troiareuke cushion does not. So the Pony Effect is a better deal in the long run. And again, the packaging is so pretty, with a large mirror, to boot. It totally makes you want to pull it out of your bag for touchups! The last item I want to talk about is a makeup setting spray. I know that the Urban Decay All Nighter and De-Slick usually get all the attention, but I have found a better, AB alternative for those with combination or oily skin: the Boscia White Charcoal Mattifying MakeUp Setting Spray ($12-$38). I don’t know what all the bad reviews complaining about the white spots are talking about, because if you follow the instructions and shake the bottle before using, the spray will come out evenly and without any spots. When I know I’ll be out all day, I’ll practically soak my face in this stuff (it dries down in a couple of minutes) and my makeup lasts until I use an oil cleanser to wash it off. What’s more, I’ve noticed that I’m less oily at the end of the day whenever I use this spray. So there you have it. The 10 beauty products I love, and have purchased over and over again in the past few years. If a product has not been mentioned here — i.e., a moisturizer or an eye cream — it’s because I haven’t found THE one yet. If you have any questions about any of the products mentioned here, or where they belong in my routine, please let me know below. And please don’t forget your sunscreen! 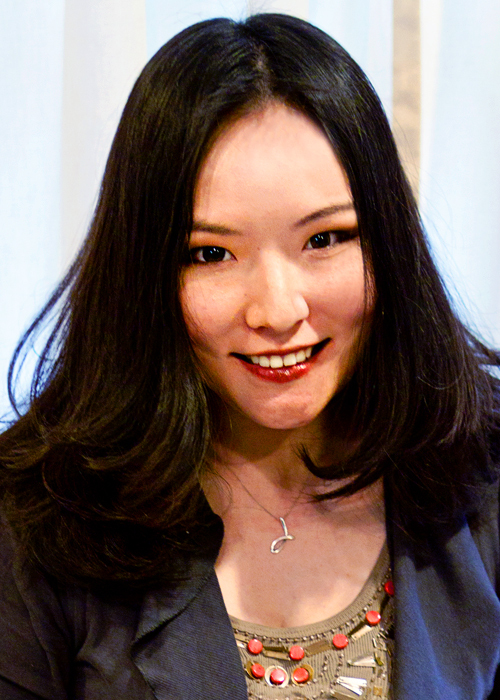 Shiseido Benefique Skincare Review and Giveaway! Over the course of my history with mental illness, I’ve tried a myriad of drugs, and I’ve experienced a multitude of side effects. Dizziness. Tremors. Dry mouth. Insomnia. Sluggishness. Weight gain. Weight loss. It makes carbonated beverages taste like fart. I’m not joking here. Some users say carbonated drinks now taste flat. Others say metallic. To me, and some others, carbonated drinks now taste like fart. At first, I didn’t believe it. I even got a large Diet Coke from McDonald’s (didn’t you know their Coke tastes better?) to prove them wrong. I was devastated. I love Diet Coke. I love carbonated drinks in general. I even have a SodaStream at home. A few hours later, I let out an audible “Noooo!” when I realized that beer is carbonated. My beloved beer! Aside from this strange side effect, I’m doing well on this drug. My mood seems to have stabilized somewhat, and so far I haven’t experienced any mental deficits. It gives me dry mouth, so I’m chugging water like a camel. Another thing: it makes carbs taste…off. A bit flat and not too interesting. It’s no wonder I’ve lost 5 lbs already! Will I continue with this drug? We’ll see. But for now, I’m not missing carbonated drinks too much. I was first diagnosed with major depression in college, at the age of 20. Since then, I have gotten better and I have gotten worse. I have been in and out of therapy. I have been on and off meds. But I have never been with the same therapist for more than a few months. Until now, that is. Currently, at the age of 36 — 16 years(!) after my first diagnosis — I have met someone with whom I truly click with, who actually gives me advice and not just the “So how does that make you feel?” spiel that so many other therapists fall back on, who isn’t afraid to call me out on my B.S., gives me things to think about at home, and takes my insurance. I have been seeing her for 1.5 years now. Because I have stuck with her for this long, she noticed something — something my prior therapists and doctors had missed, probably due to my unhealthy habit of stopping therapy and meds as soon as I start to feel better. She noticed that I have periods of hypomania, occasionally making an appearance between bouts of depression. I suffer from Bipolar II Disorder, not depression. But more often than not, depression. For women with bipolar II, depression tends to dominate, while men have roughly equal numbers of hypomanic and depressive episodes. I have updated my psychiatrist with this new diagnosis and we are in the process of changing my meds accordingly. The problem with most meds for bipolar disorder is that they make you gain weight — and I was strictly against that. So we’re trying a drug dubbed “the model drug” because patients tend to lose weight on it, but it also can make you dumber. Whatever. I’m willing to sacrifice a few I.Q. points to shed some pounds. But I do feel different. It actually feels refreshing. Freeing, even. I’m happy. Who knows, this may be a hypomanic episode talking. But I feel like bipolar II makes better sense than depression. Something more solid. Something that can be conquered. The good news is that I got my laptop back. Not only had Apple replaced my battery, they had also installed a new logic board, so my computer was running like new again. The bad news is, this only lasted a few days. It began with a 1px-wide red vertical line along the right side of my screen. Then the lines multiplied, in different colors. 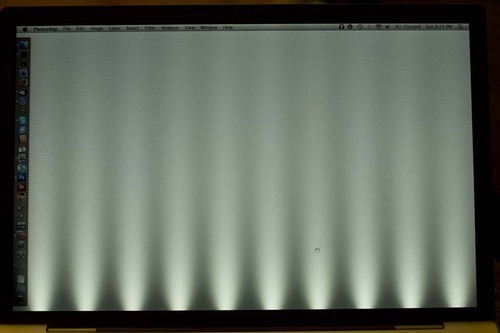 After some time, the entire screen started flickering, changing back and forth between solid colors and a series of vertical bands. So I’m bringing my MacBook Pro into the Apple Store again tomorrow, and will probably be without my computer again for another week. Despite my technical issues, J and I had a wonderful time in Montréal. Our hotel was perfection, the food we ate delectable, and although the weather forecast called for rain, we managed to avoid the blunt of it and even enjoyed beautiful, sunny spring weather as we walked around the city Saturday afternoon. Don’t I look so relaxed? As you have probably guessed by now, I’m writing this post on my phone. And with Aerin’s spring break taking place this week, I won’t have much time on my hands. So with this harried update, I must bid adieu once more. I promise to be back more regularly once my laptop woes are fixed! Apple Replaced My MacBook Pro for Free! 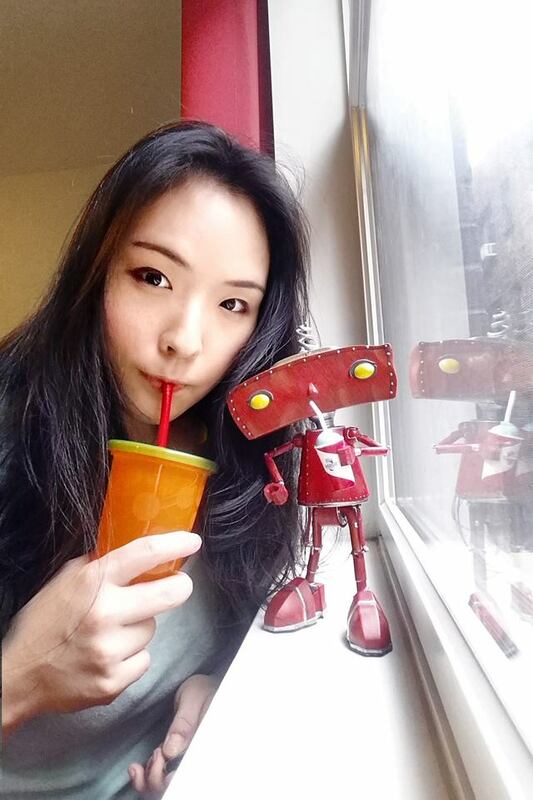 I like books, gadgets, spicy food, and art. I dislike shopping, hot weather, and the laws of entropy. Although I am a self-proclaimed computer nerd, I still have a love for handbags and makeup... and I am always teetering on high heels. To learn more about me, visit the "About" page. These represent the current most popular posts (by pageview). If you would like to see a more comprehensive list, please see my Popular Posts page. © 2006-2017 Geek in Heels. All rights reserved.